Ski-Doo has completely jacked the enthusiasm surrounding a product category that was losing its sizzle. Which one? The GSX has been eliminated from the product list this year and replaced with a very appealing and much more macho 137-inch sled called the Renegade Enduro. 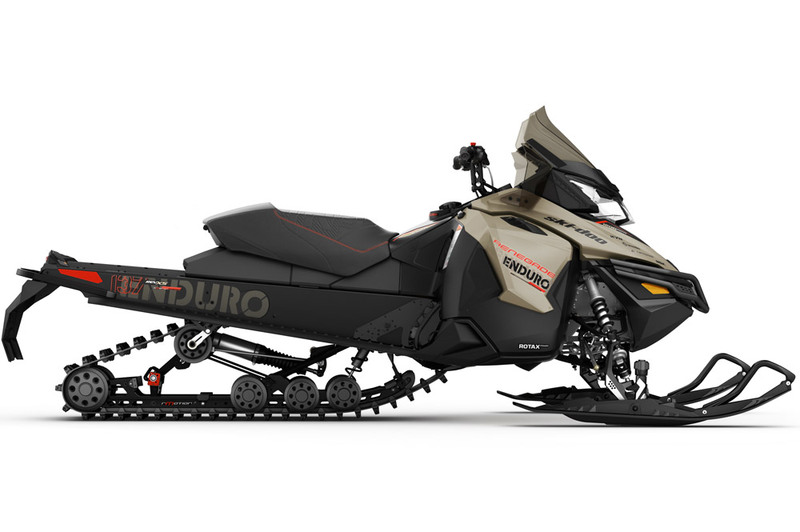 This sled's personality is designed to mirror Paris-Dakar cross-country motorcycles with gear-carrying capacity, maximum suspension capability and extreme performance. The Enduro features nearly all the same goodies you used to get with the GSX but it now has four engine options: 600 and 800 E-TEC, 900 ACE and 1170cc 4-TEC with iTC. Bodywork is all REV-XS with the extra wind protection of a mid-height windshield and its heated glovebox behind the windscreen. The Enduro also comes standard with a 1.25-inch x 137 Ice Ripper XT track. Rear suspension is 137 rMotion with on-the-fly adjustable Air Ride while RAS 2 with HPG Plus aluminum-bodied gassers using Pilot TS adjustable skis are used on the front end. Electric start and reverse are standard on all variations of the Enduro. This is an exciting new model this year and its paint and graphics give it plenty of sizzle. 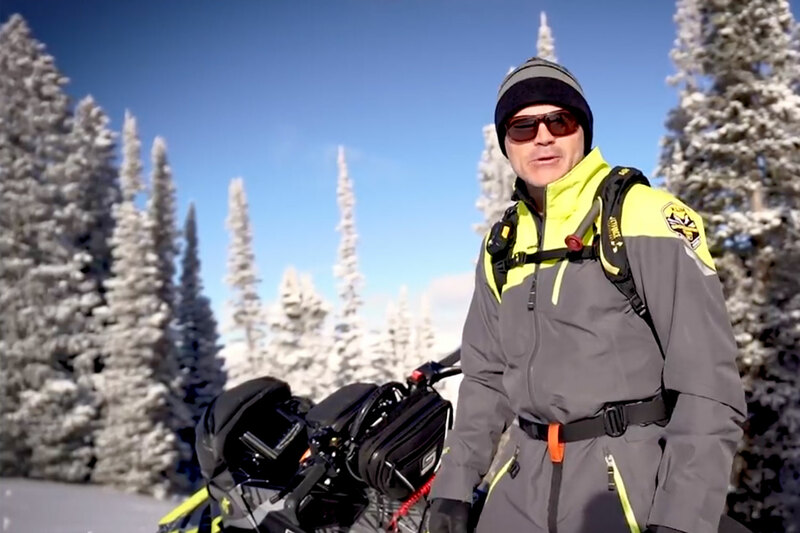 Its performance in all categories is exceptional and our test pilots agreed the Enduro was one of the most impressive 2016 Ski-Doos we had the opportunity to ride.